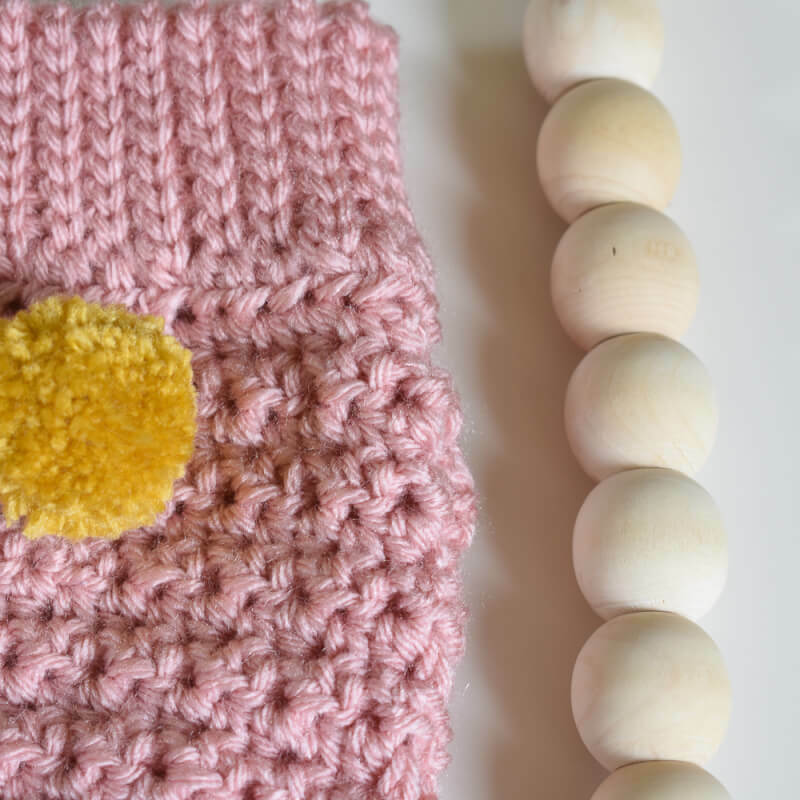 A free crochet diaper cover pattern that's quick to work up. The modern high rise style and stretchy band make sure you'll have a good fit for your baby. The pom poms add cuteness. 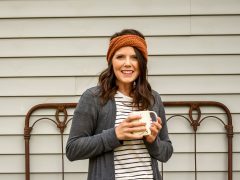 A video tutorial explains how to crochet the unique band. 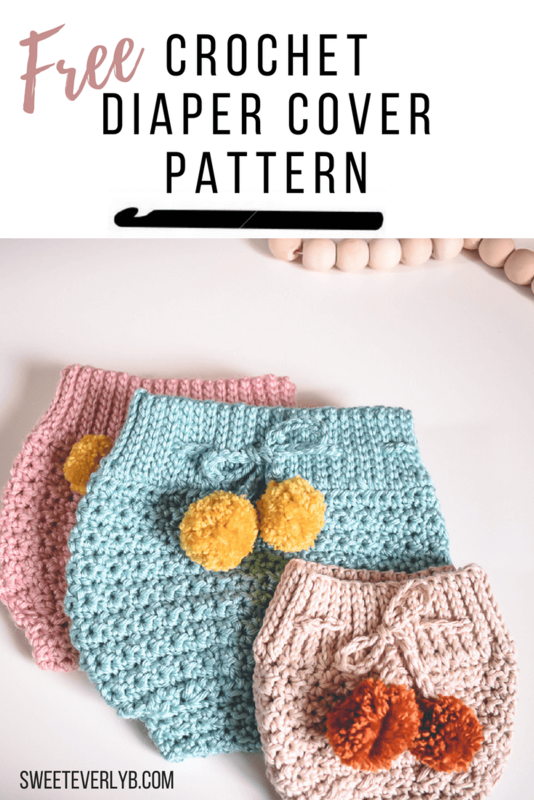 I’m jazzed to share this easy crochet diaper cover pattern with you. 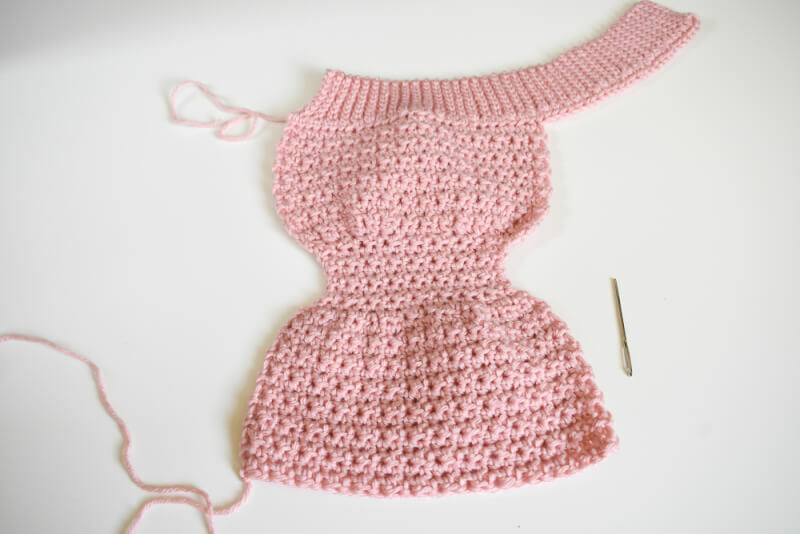 I forgot how much I love crocheting baby clothes. The colors are soft, you can whip them up in a flash, and everything is cuter in that teeny tiny size. 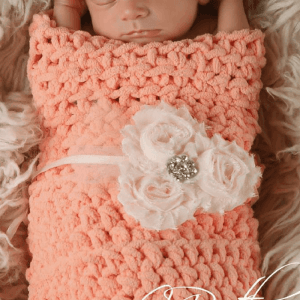 Why You’ll Love This Diaper Cover Crochet Pattern. The waistband is extra stretchy for a snug fit. You can adjust how big of a leg opening you need, for those extra chunky thighs. Is there anything cuter?! The mixed stitches create a beautiful stretchy texture that doesn’t have large gaps in the fabric. 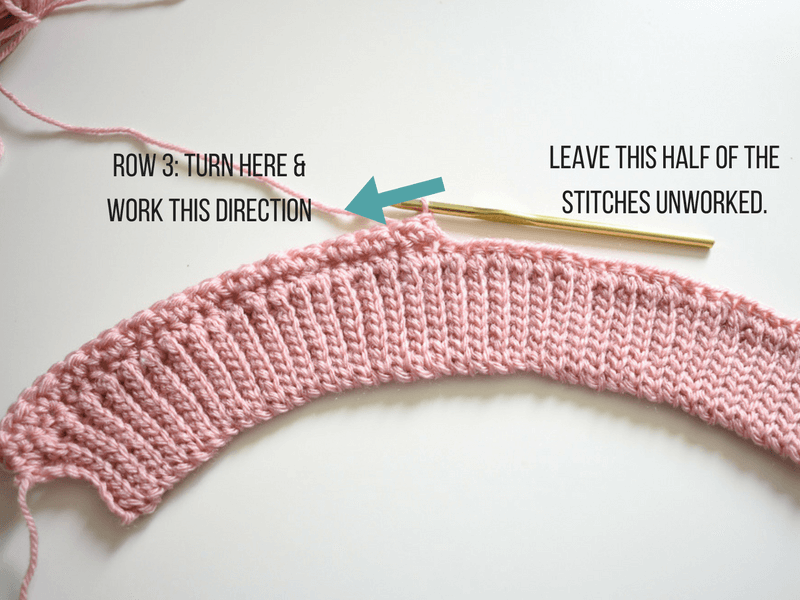 The modern crochet pattern alternates half double crochet and single crochet stitches in the same row. 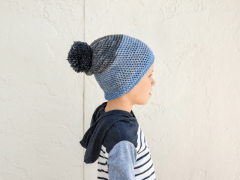 The different stitch height creates a lovely texture. I tried a few different yarn types for this easy crochet diaper cover pattern. I loved the cotton for a lighter weight spring bloomer and the stitch definition. I choose the Red Heart Soft Yarn solely for the dusty rose color that’s so hard to find, but its softness is perfect babies. Any basic worsted weight yarn will do. Make sure you match crochet gauge for a perfect fit. 1 Skein # 4 Worsted Weight Yarn. Contrast Color Yarn for the pom poms. 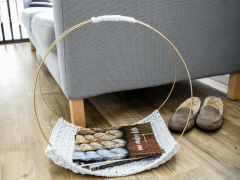 Add this modern crochet pattern to your Ravelry Favorites. The pattern for the gauge swatch. The diaper cover is crocheted from the top down, starting with the band. 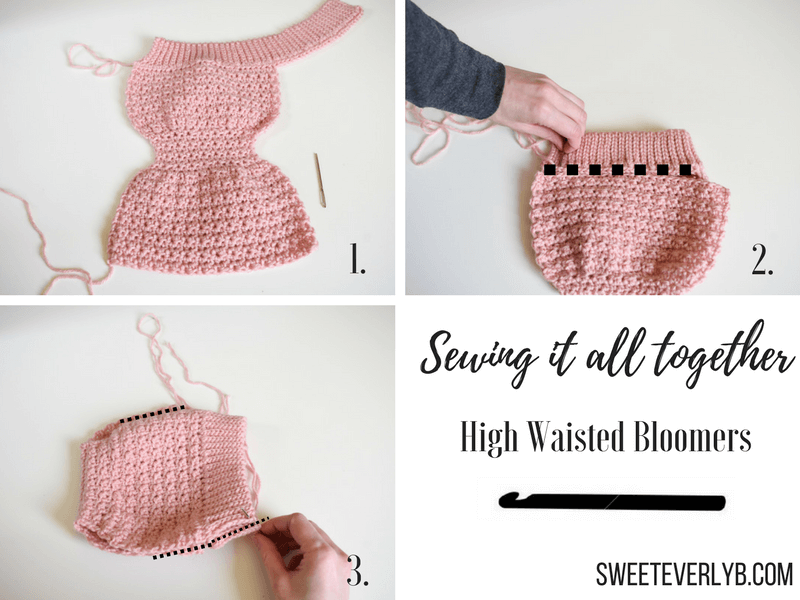 To refresh how to slip stitch crochet, check out this post. You might be surprised how easy it is to insert your hook into the wrong loop. You will crochet the entire band than working in only half of those stitches you will create the body of the diaper cover. At the end, you will sew the back of the diaper cover body to the rest of the unworked band. Here’s what the crochet baby bloomers look like before you sew everything together. 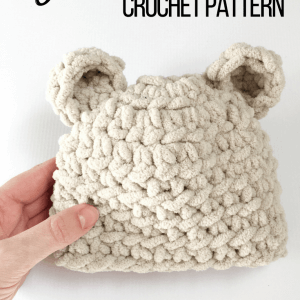 Watch the video tutorial to learn how to crochet the slip stitch band and work the first row of the diaper cover body. Row 2: ch 1, (1 hdc in the next st, 1 sc in the next st) work in the next 22 sts. Turn. (22sts) This will leave the last 22 sts unworked. We will attach the back of the diaper cover to these sts at the very end. Row 2: ch 1, (1 hdc in the next st, 1 sc in the next st) work in the next 28 sts. Turn. (28sts) This will leave the last 28 sts unworked. We will attach the back of the diaper cover to these sts at the very end. Row 2: ch 1, (1 hdc in the next st, 1 sc in the next st) work in the next 32sts. Turn. (32sts) This will leave the last 32sts unworked. We will attach the back of the diaper cover to these unworked sts at the very end. Row 2: ch 1, (1 hdc in the next st, 1 sc in the next st) work in the next 36sts. Turn. (36sts) This will leave the last 36sts unworked. We will attach the back of the diaper cover to these unworked sts at the very end. This is what the finished crochet diaper cover looks like before you sew it together. Fold the diaper cover body in half. Match up the last row worked to the first row worked into the waistband. Hand sew together. Sew the sides of the diaper cover together. Leave an opening on the bottom of each side for the legs. Use the guide below for seam length measurements. Seam length from the top of the band to the top of the leg opening. Crochet a 25”-30” long chain. Use the tapestry needle to thread through the middle of the waistband. Add 2 small pom poms to the ends of the chain. Tie into a bow. I absolutely love this!! And have just tried my first one. I can’t get my ribbing so neat at the top (or bottom for that matter) any tips? You can try not chaining at the beginning of each row for the ribbed band. That might give you a cleaner look. Consistent tension is so important with slip stitching too. Thank you for this pattern. Best I’ve ever seen! how cute! i need to try this. 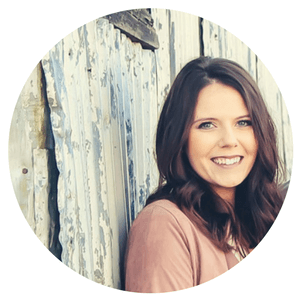 I am looking into getting liability insurance for baby items but it’s too expensive. What do you do? I sew things on tightly but am afraid of a button getting into the hands of a sibling. I always worried about that too, so I didn’t use a lot of buttons! Now I don’t sell my finished items. There are safety buttons you can use and suppliers that are baby compliant.